In the first of these posts I argued that the apparent differences in various contributions to the debate on recent developments in Irish politics, including the prospects for the left, did not reveal fundamental disagreements. Everyone from Sinn Fein to the Left alliances looks forward to a very significant challenge to the establishment and see great potential for success. In the previous post I mentioned that the general policy platform of anti-austerity and its implementation through forming a Left Government, supported by mass mobilisation outside, is endorsed by these same organisations. Yet proposals for an overarching alliance formed by these organisations are rejected by both sides. Sinn Fein rejects “the Trotskyist left” because it has sought to divide the anti-water charges movement formed under the banner of the Right2Water campaign. And it is clear that it is also rejected because Sinn Fein thinks this Left is unwilling to form a Government with the Labour Party, and incapable of any sort of political unity with the trade unions that support the Right2Water campaign. Of course there are good grounds for these positions. The Labour Party has spent four years inflicting austerity in Government with Fine Gael in the South and Sinn Fein has been in office with the even more rabidly right-wing Democratic Unionist Party in the North, also inflicting austerity, while claiming to oppose it through vetoing some welfare changes. In the South Sinn Fein also voted for the justification for much of the austerity by voting to bail out the rotten banks and their gambling investors. 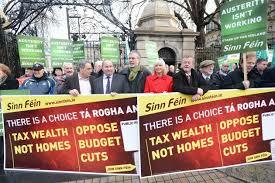 In this way the Irish State transferred the debts of the banks to the working class. However the centre piece of the Left’s strategy is the formation of a Left Government in order to reverse austerity – they propose no other effective or credible means of doing so. As I have also argued – their privileging of the non-payment tactic as the only route to defeating water charges leaves them otherwise naked when it comes to explaining how they would defeat the much greater effects of the other austerity measures. In their arguments, despite claims to prioritise mass mobilisation over electoral success, they reveal the central and indispensable role in their strategy of electoral success. Only by forming a Government could their demands for reversing austerity be carried out: through taxation increases for the rich and reductions for the rest; for increased state spending to create jobs; for reversing privatisation and for repudiation of the state’s debt. The actions proposed by the Left are inconceivable without forming a Government to do these things, which is why they naturally call for a Left Government. The Left say that mass mobilisations are key and elections are there to support them but what these mobilisations are supposed to achieve in themselves, beyond single victories on various issues that develop, is never explained. Mass mobilisation is not itself a programme, not itself a strategy unless given some purpose and objective, given some content. What for? To achieve what? How and in what way would such mobilisations put forward and actually implement an alternative, except other than through a Left Government? The strategy of capturing government office in a capitalist state is what Marxists call reformism and I have written a series of posts criticising this view, beginning with this one. I’m not going to criticise the Left here for being reformist but simply to point out that their strategy requires capturing Governmental office while rejecting any arrangement with Sinn Fein or the Labour Party. The prospect of them doing this in the foreseeable future is therefore practically zero. I have criticised the specific proposals of the Left before not because it has proposed reforms but because they are viewed, not as making capitalism less oppressive and creating better conditions within which workers can fight for a replacement, but because the reforms themselves are seen as in some way instituting an alternative to capitalism. In this sense their policies are not an alternative to capitalism but an alternative to the real alternative to capitalism, which is socialism. To sum up what their approach involves – it entails the capitalist state, presided over by the Left, intervening much more into the economy and creating a fairer and more just system. It doesn’t involve a fundamental change in the economic or political structure and amounts to a fairer form of capitalism, full stop. If their strategy ‘secretly’ involves revolution in the traditional sense of an insurrection, one that aims at the destruction of the capitalist state, this isn’t going to happen either, if only because they haven’t gone around doors giving out leaflets and telling the only people who can carry it out that this is what they should do. Paul Murphy presents a related reason for opposition to unity with Sinn Fein and/or the Labour Party. He says that the latter involves “the notion of constructing a “social majority”, instead of building a class based movement.” Unfortunately this opposition of a social majority to a class based movement is false since a working class movement in itself will be a majority and its creation will win to its ranks individuals and social layers who are not working class. The idea of a ‘social majority’, however described, should not be, or allowed to be, counter posed to a working class movement. It is almost as if what this reformist strategy needs, and what its reformists-in-practice require, is some concrete reforms in an explicit strategic alliance with reformists. So the Left says it cannot countenance a coalition that would include the Labour Party and/or Sinn Fein because these parties have already and will in future impose austerity when in Government. 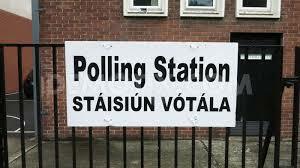 However to many voters the alternatives offered by Sinn Fein and the Left do not seem very different. 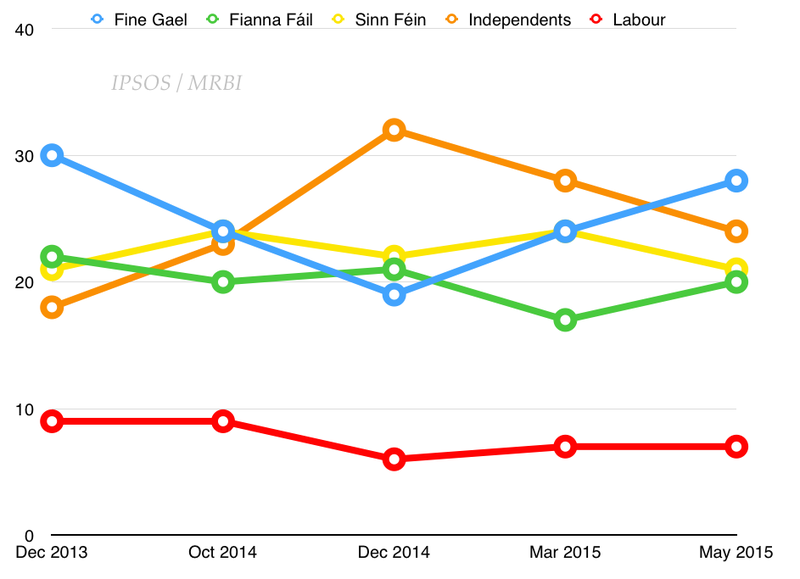 The by-election victory of Paul Murphy of the Socialist Party over Sinn Fein, in part due to a more militant stance on opposing water charges, is not unfortunately likely to be the template for the general election. The actions of the trade unions involved in the Right2Water campaign and their transparent attempts to endorse a left alternative that includes Sinn Fein, and even Labour if it went along with it, demonstrate this. But the answer to this is not to simply denounce these parties, for if that were all that was required, as I have said before, we wouldn’t have the problem. The answer must be to challenge the credentials of these parties and to win the trade union members and other workers who have supported the Right2Water campaign to a real anti-austerity alternative. If such a process were to take place it could only be through joint activity and joint debate with the leaders and members of these parties. In such a process it would be my view that the weakness of the Left’s own anti-austerity programme, in no essential terms different, would be exposed. However such a strategy makes sense even from the Left’s point of view. So, in order to begin to demonstrate their claims and in order to be seen to be seeking the maximum unity of anti-austerity forces the Left, perhaps paradoxically, would need to take its pretensions to reform the Southern State and economy more seriously. It might do this by, for example, proposing the specific measures that it would take in the first 100 days and first year in office while demonstrating that unity around these policies is essential, challenging both Sinn Fein and the Labour Party to endorse them and fight for them together. The Left would openly propose and debate these measures, this strategy, and seek to make itself accountable to its constituency, in the process attempting to leverage this support to engage with that of Sinn Fein and the trade unions. The purposes of this would not only be to win these supporters to more radical politics but to promote their capacity and willingness to make the parties they currently support more accountable. The aim of this is not so much to put pressure on these parties to keep their word, or even to facilitate their rejection when they do not, but to encourage and stimulate the independent political activity of these workers. So, for example, the mechanisms put forward in the contribution by Rory Herne come across as elaborate and wishful scenario building that involve earnest but utopian blueprints for the ‘perfect’ movement. But they do offer some sense of how such accountability might be achieved. Would such tactics work? Maybe, maybe not. But the point is that a means has to be created that allows the Left to engage with those voting for Sinn Fein and (more importantly from my point of view) for Marxists to go beyond denunciation of the Left’s Keynesianism to engage it and its supporters in clarifying the means to advance working class politics and organisation. 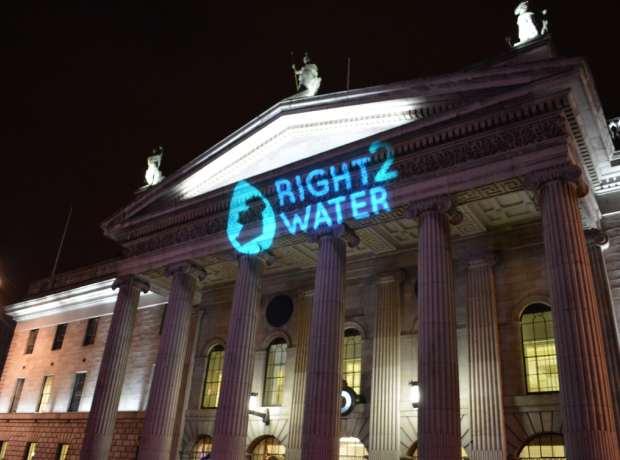 The demonstrations against the water charges last Saturday showed that the Right2Water campaign is supported by local groups in towns and cities right across the State. This grass-roots organisation is a reflection of the strength of feeling among the working class and is its greatest political strength. It is not the creation or front of one or other, or even the whole collection, of political groups although they are deeply involved. It is united in total opposition to the charges and to the tactic of non-payment and it should expect to be challenged by the State on both. Concessions by the Government will be offered in the next days and afterwards stronger tactics will be employed against those who remain in opposition, if they can be sufficiently isolated. This is always the way it works. Every carrot is followed by a stick. The various organisations involved in the campaign have put forward their own perspectives for the way forward. By looking at the leaflets given out at the demonstration last Saturday I want to review what they are proposing. Sinn Fein put out a leaflet ‘Stop the Water Charges’ which promises to reverse water charges when in Government, which rather admits it will be in some form of coalition with one of the capitalist parties after the election. Otherwise it has little to offer those who want to see the charges scrapped. Simply waiting for a new Government on the other hand is something that would paralyse and then kill the campaign. Sinn Fein claims in the leaflet that it blocked the introduction of water charges in the North. As Eamonn McCann noted in his article in ‘The Irish Times’ I referred to in the previous post – all four main parties in the North have claimed the credit for not introducing water charges. Eamonn McCann claims “that it was a mass non-payment campaign that prevented the introduction of water charges by Stormont in 2007.” As someone who went round doors helping to organise meetings and speaking at them I know this is, unfortunately, not true. There were numerous campaigns but none of them had a mass character and lots of signatures on a pledge of non-payment doesn’t make a mass campaign. Meetings were usually small and when candidates from the Left stood on anti-water charges tickets they generally got the same derisory vote they always got. The parties in the new Stormont regime did indeed refuse to introduce water charges because it was very unpopular with their own supporters, and it was something that they could manage without – so they did mange without. The Socialist Party leaflet doesn’t mention it’s a Socialist Party leaflet but hides itself, as usual, behind some party front; this time it’s the ‘We won’t pay Campaign.’ Since it already dominates the Anti-Austerity Alliance, this method of organisation it appears wedded to wouldn’t seem to be useful even to the SP. The leaflet is however very good at putting the case for non-payment and explaining the position of the State and the legal implications of the tactic. It looks back to the successful water charges campaign in the mid-1990s but provides no indication that the lessons of more recent failures such as the anti-bin tax campaign have been assimilated. The Workers Solidarity Movement leaflet also argues strongly for non-payment and advises on the real situation that non-payers will face. It is also honest enough to explain the counter-measures that the State could adopt to thwart the non-payment tactic, but then also points out the problems this would give to the State. So the State could deduct the charge from wages or benefits but this would require a change in the law and would make it impossible to privatise Irish Water, which they say is the primary reason for imposing water charges. On this I am unconvinced. Charging is necessary in order to raise revenue to reduce the budget deficit, meet demands from the Troika and get the debts of the company and its future debts off the Government’s balance sheet so its debt ratio looks better. Direct State intervention to make deductions from salaries and benefits go against this project whether privatisation is hoped for in the future or not. That the amounts might today be relatively small does not invalidate this view but does raise the point that retreat on the issue by the Government would not involve an enormous monetary cost. In any case we should not lose sight of the fact that it is under public ownership that this attack on workers is taking place and it is under public ownership that the water service has been a disgrace with flooding, poor water quality and leakage at atrocious levels for years. Public ownership is a euphemism for State ownership and is misleading because the public don’t actually own it and don’t, as we can see, have any say over how it is managed or run. There is no need to bum up the benefits of such ownership when it’s not the socialist alternative. With this in mind, calls for a referendum to prevent privatisation might allow some to avoid taking a strong position on opposing the charges. It is not that surprising that Jack O’Connor appears on the television supporting the call for a referendum while SIPTU fails to back the Right2Water campaign. SIPTU members should challenge its leadership on this failure and anti-water charges campaigners should stand outside Liberty House demanding the union’s support. 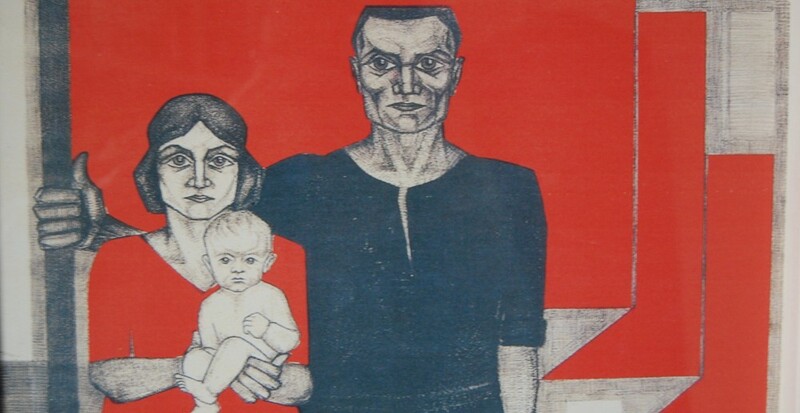 The Socialist Workers Party issued a leaflet from its own political front – People before Profit, practicing the politics of feeble reformism that it condemns in its other publications. It has its own euphemisms that it uses to straddle the contradiction. So it calls for ‘people power’ instead of teaching Irish workers that the people are divided into classes and that the power and interests of the working class are different from those of the people who belong to the capitalist class. This way of approaching politics allows the issue of class to be side-lined and, for example, the class nature of the state ignored, so that the State can be called upon to provide solutions; such as their leaflet calling for taking ‘Ireland’s natural resources into public ownership’. Like Irish Water? The leaflet also appears to call fort a general strike on 10th December but doesn’t have the courage of its convictions to say so. On the usefulness of this demand see a previous post. It calls for a ‘revolt’ but it’s not clear if this means revolution or is something short of it and what this might be. Its importance however is not that it is part of a wider revolt, but that it is the exception to the rule of general working class passivity and acceptance of austerity. Its wider political significance is actually that it might herald the start of a wider resistance. But then the question is how do we achieve this, or can we? Not that it already exists. 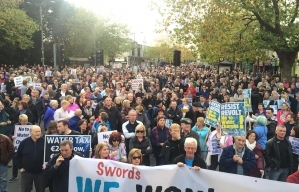 The article in ‘The Irish Times’ noted that one reason behind the anti-water charges campaign was that the people cannot “give any more” and “the people have been pushed too far.” The Workers Solidarity Movement leaflet notes that ‘hundreds of thousands of people are now saying ‘No More’”. In other words many workers have decided that they won’t pay this bill. They have not decided to stop paying the price of austerity they are already paying or perhaps new ones that will heaped on them in the future should the new boom prove temporary. If the strength of the campaign is its local organisation then an effective national campaign structure would help to leverage that strength to support activity in weaker areas or where no campaign currently exist. Above all such a structure should provide for democratic accountability to the members of those speaking for the national campaign. It would provide the means by which a collective view can be determined and publicised on such things as the response to whatever partial concessions the Government dreams up to stifle opposition. At this stage it would not appear to advance the overall struggle against austerity to demand that the campaign take on wider objectives. It is clearer however that at some stage it should. The best grounds on which to do so would be success in defeating the water charges. Such a step however needs preparation now for an extension of the objectives of the campaign down the line. Fighting tax increases, cuts to public services and cuts to wages and welfare will not be easy and the tactic of sitting tight involved in ‘we won’t pay’ is obviously not an answer to these. A debate on what we are for and how we might build it is also just as necessary, if not more so. A second tactic is to stand in elections and electoral intervention is now the favoured method of moving forward by Sinn Fein and most of the Left groups. The latter confidently argue that the former will betray the hopes of their supporters, and Sinn Fein’s support for austerity budgets in the North is all the confirmation one needs for this argument. Unfortunately the Left’s own claims are hardly consistent either. They regularly denounce the capitalist state but their programme fully relies on it doing what they want. On this blog I have posted numerous times on how their support for capitalist state ownership and taxation of the rich are not socialist and won’t work. In other words they would effectively end up betraying their supporters were they in office just as effectively as Sinn Fein. Sincere intentions don’t enter into it. At the more immediate level the Left does not provide an example to follow. 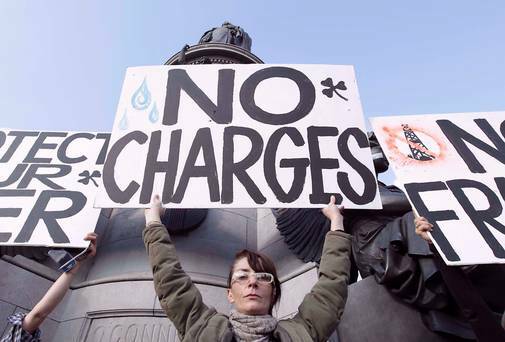 The anti-water charges campaign relies on unity and agreement on total opposition to the charges in any form. Any sense by its supporters that it did not respond to their feelings and demands would see it lose support. Unfortunately the Left has a culture of manipulation and a lack of critical and free debate within its ranks. It regularly calls for workers’ unity while being utterly incapable of unity within its own ranks. In fact in this respect it has gone backwards, with the demise of what limited unity there was in the United Left Alliance. It is simply incapable of containing within its present organisation and politics any mass radicalisation of workers. A potential for radicalisation arises from the sudden upsurge against water charges, posing the need for increased organisation and politicisation of the campaign. A victory is possible, giving rise to the possibility of further advances and the need to debate now how these could be achieved.